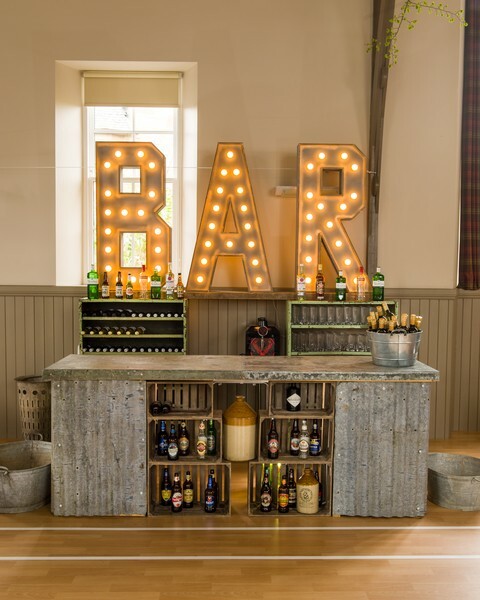 Our upcycled bespoke bar section looks brilliant in lots of different settings – quite at home in a village hall it has also graced grand marquees. 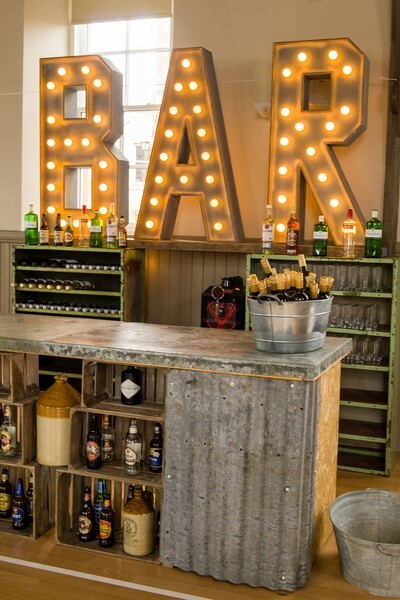 With crates, shabby chic shelving and two galvanised pails for filling with ice it is a pop-up bar that allows plenty of space for your mixologist to work from. This is a pop-up bar that stands out from the crowd AND is sure to draw a crowd! Also included are our light up four feet high B A R letters – the perfect look for your wedding or party. Not supplied with any drink!